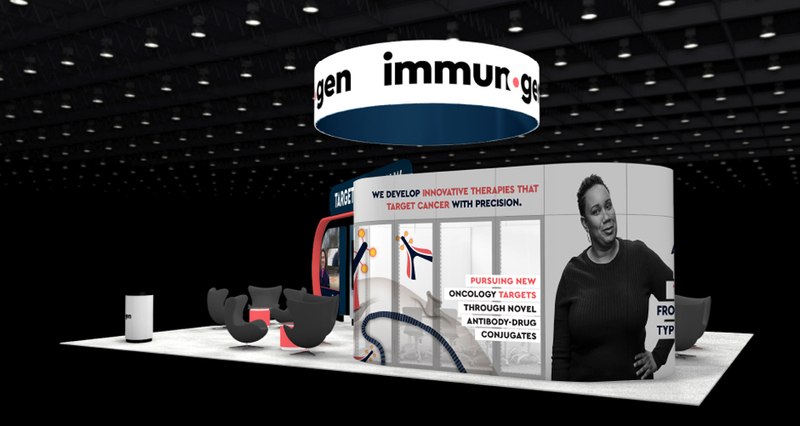 ImmunoGen, a leader in antibody drug conjugate (ADC) technology. 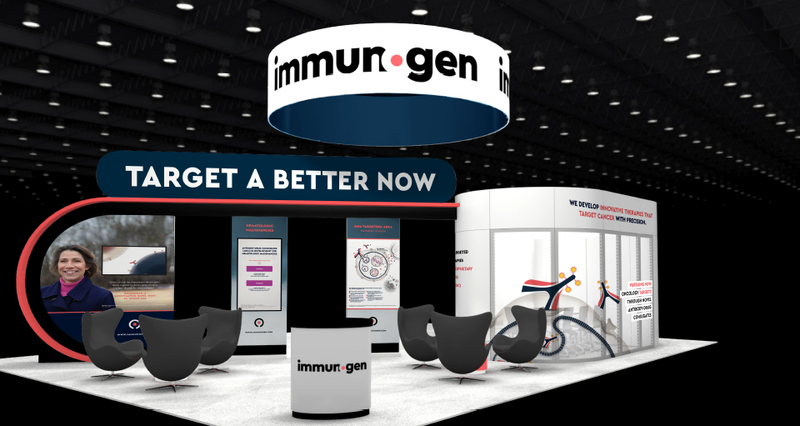 Expand ImmunoGen's reputation as a pioneer in ADC technology to one that is commercializing innovative therapies by pursuing new targets. volved branding and messaging launched at ASCO are eliciting positive responses from key stakeholders, including clinical investigators, the investment community, and industry partners. Updated MOA visualization, look and feel, and clinical trial logos were featured in exhibit booth design and panels (print and digital), scientific posters, corporate pipeline brochure, infographic ads, annual report, invitations, e-mails, and collateral materials.